It may seem that summer has only just really arrived properly, but as soon as it gets here it is often on its way out, at least in terms of long, warm evenings. The longest day has often passed by the time the sun rolls around and although we long to stay outdoors and enjoy the warm nights, the night often sends us back indoors to carry on chatting with friends and family. Candles are often a short-term solution to this annual battle against the night, with garden flares being a great way to keep the evening going, as well as keeping the biting insects at bay. Scores of tea lights in jam jars or even exterior fairy lights can also be a fun way to keep the party going on a summer’s evening. Similarly, those inexpensive solar garden lights can also keep you bathed in enough light to open another bottle of chilled white wine. Most DIY stores or garden centres will sell various models and they only cost a few pounds each. You may also find that putting the lights on in your back room or kitchen will provide enough lighting for you. 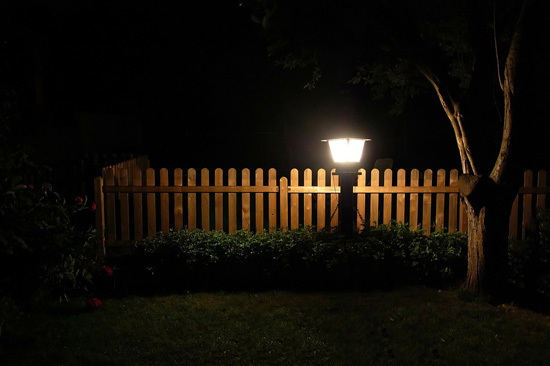 Many of us have security lights that can illuminate the whole garden, but this kind of light is often too bright and too harsh for enjoying a night of music or conversation. It also means that you may have to jump around and wave your arms in the air every thirty seconds to stop it from going out again. Ideal if you are dancing in the garden, but not so good if enjoying some late supper on the patio. The best solution to night lighting your patio or garden is to have two or three exterior lights added to the rear or side of your property. These can be soft, moveable spotlights or carriage-style lamps. You don’t want bright lights on at night and a variety of different lights in locations at the rear of your home should provide the right kind of light at the right time. You should also consider your energy use and any disturbance that your light may cause for neighbours. Try to keep lighting low-energy and unobtrusive. 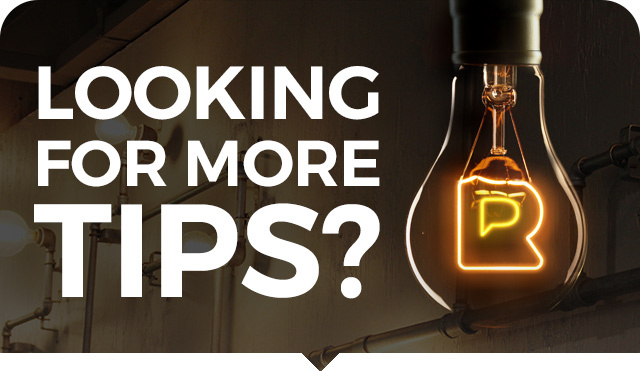 A good electrician will be able to help you decide what you need and wire your new lighting into a conveniently-placed rocker switch, or even a dimmer. These can be added on a spur from your existing ring circuit by a qualified electrician. Your electrician can also install an external power supply for other items you may want to use outdoors, including mowers. It may be economical to have all this work done at the same time. Safe installation is, obviously, very important when adding new lights that will be outdoors and may be open to the elements in some way. 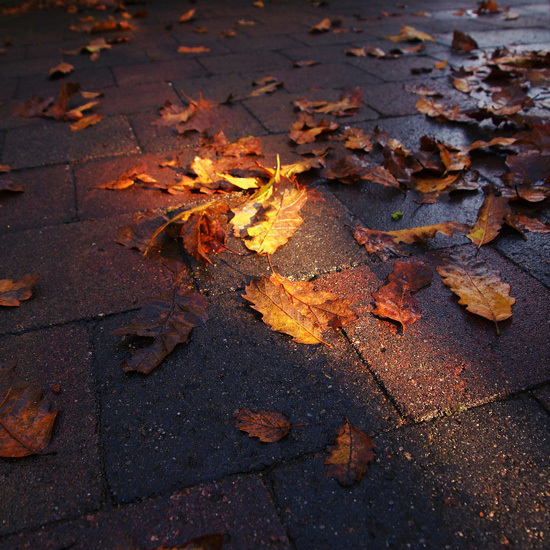 Any lights you install should be watertight and suitable for outdoor use. 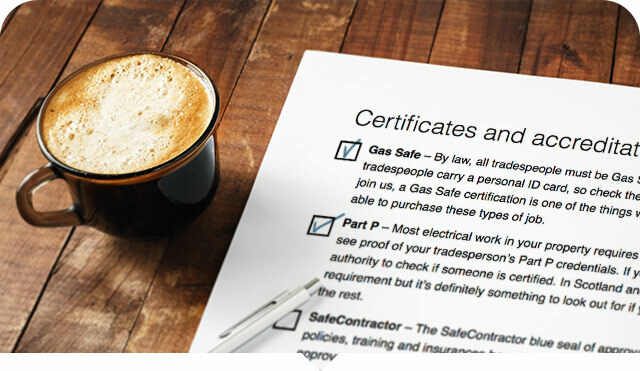 An electrician or a DIY store expert will make sure that what you are buying is safe to use outdoors. Your electrician should also install an RCD (Residual Current Device), which improves safety and shuts down the circuit if there is a problem. Consider cost when planning what suits you. If you only find yourself outdoors after dark very occasionally then candles may do the job. But if you want to be able to regularly entertain outdoors then you should consider having a more permanent solution put in place. If you’re in need of an electrician to help, why not post your job on Rated People? Up to three electricians will be able to get in touch to quote and you’ll be able to choose the right one for you.